*This product has been replaced by VT2406-L. 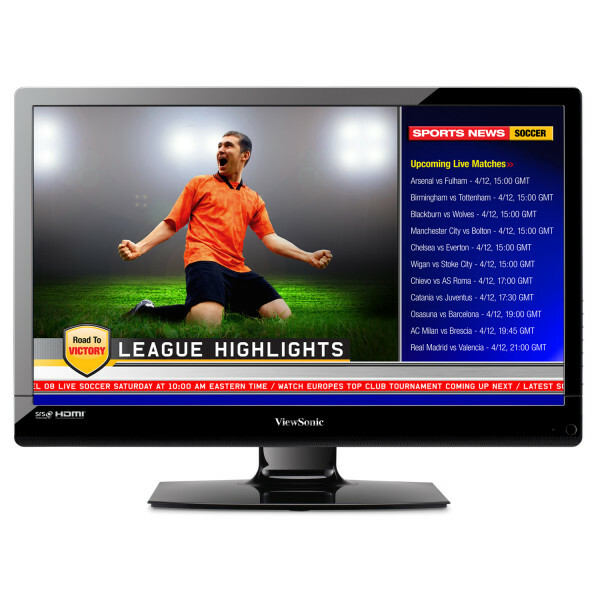 The ViewSonic VT2405LED is a 23.6" commercial HDTV featuring “edge white” LED technology. The VT2405LED delivers brilliant image clarity, as well as high contrast with saturated colors, while consuming very low power. Versatile connectivity is provided through two HDMI inputs in addition to PC and traditional YPbPr component video. A RS-232 control port is combined with IR pass through to provide automated control for hospitality and commercial installations. Internal programming is offered for users to control the specific operation of the TV. This includes features such as front panel lockout, volume limitation, active inputs on power up, and programmable channel range. Extreme audio includes internal SRS® Surround performance with SPDIF digital output. ViewSonic’s VT2405LED display features Full HD 1920x1080 resolution to deliver superior pixel-by-pixel performance for a more realistic viewing experience. At this resolution you’ll experience greater image clarity and detail—qualities that will bring high-definition TV programs, HD movies and other multimedia content to life. Our displays utilize energy-saving Edge White LED backlights with lifespans of over 30,000 hours—that’s more than a decade of durability. Along with significantly lower power consumption, the VT2405LED provides a lower cost of ownership and a higher ROI, making it a great long-term investment. This monitor is great for small-screen installations, hospitality displays, or applications requiring automated control. It’s also ideal for hotels, restaurants, sports bars or retailers that require automated control and customizable presets. With a USB-programmable hotel menu, each television will have the same customized channel default, audio level, front-panel lockout, and auto power-up settings. With the handy PC-less USB playback feature, photos can be immediately played and shared by plugging a USB drive into the display. 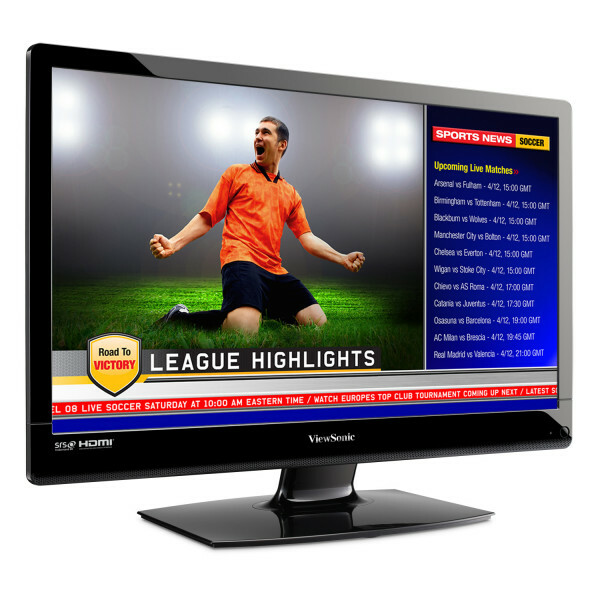 In addition, the VT2405LED includes a USB cloning feature for easy duplication in multi-screen environments. The VT2405LED’s RS-232 control port features IR pass-through to provide automated control for hospitality and commercial display installations. IR pass-through offers local control of set-top boxes or other connected devices directly from the display’s remote controller. A versatile selection of inputs let you easily connect and use a variety of digital equipment. The VT2405LED’s flexible connectivity makes it perfect for connecting to high-definition content sources, such as HD set-top boxes, DVDs, game consoles and camcorders in hotel rooms and public areas. 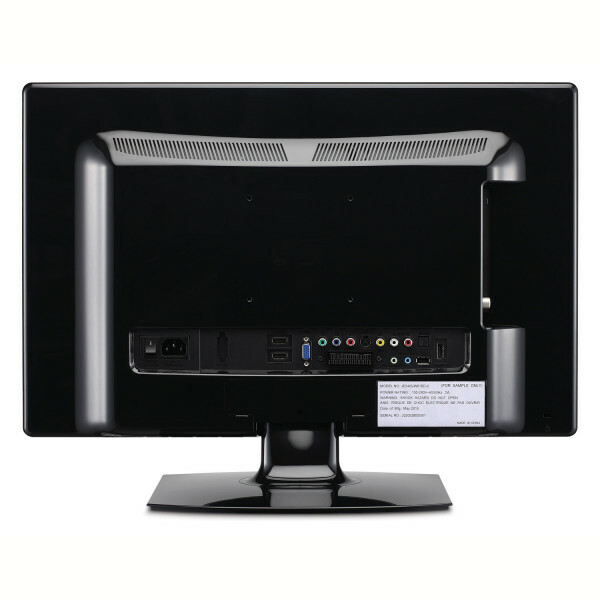 Dual HDMI ports, TV, USB and VGA ports, as well as composite and component inputs are included. The VT2405LED display has two integrated 2.5-watt stereo speakers with SRS® TruSurroundHD. Thishigh-quality sound enhances on-screen multimedia performance with crystal-clear sound effects. Users can also add an additional speaker via the SPDIF audio-out port. 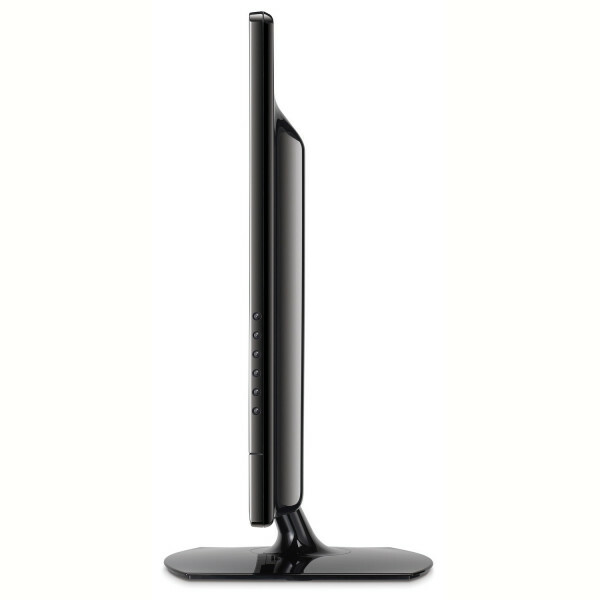 This allows users to conveniently expand their sound systems, to different locations in the room or venue, via cable. Designed to be displayed in high-traffic areas of hotels and other venues, the VT2405LED display adds a sleek touch to any setting. With its glossy bezel, this premium-value display looks as good as it performs. Also VESA-compliant, it accommodates more flexible mounting options on display stands and walls.